We produce passport photographs for most countries in the world as well as UK driving licenses and ID photographs for work. Passport pictures for babies too are no problem. All our passport pictures are taken by hand, sized to the exact specifications and checked for the correct exposure before being printed. In the unlikely event of them being rejected we will take them again free of charge. 9 times out of 10 we can take them straight away but to avoid disappointment it's a good idea to call us on (01484) 514744 and book in - just to make sure we're not in the middle of a studio session. Alternatively to can book in online and pay online below. Top tip! : It's better to wear dark clothing rather than light for passport photographs. 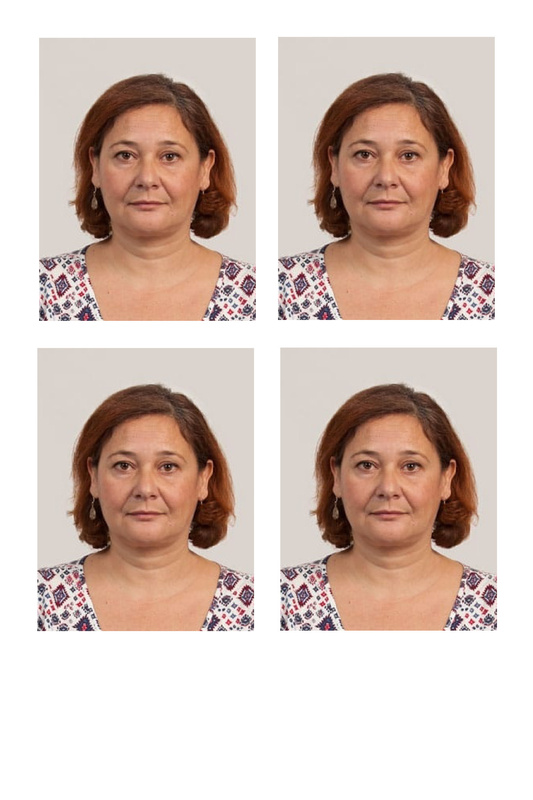 Passport renewals: Many of our customers who own smartphones have found it easier to begin their renewal appliaction online then come to the studio where we can take their picture. By connecting to our WiFi on their phones they can upload the picture and comeplete the application here. Any issues can be dealt with immediately.